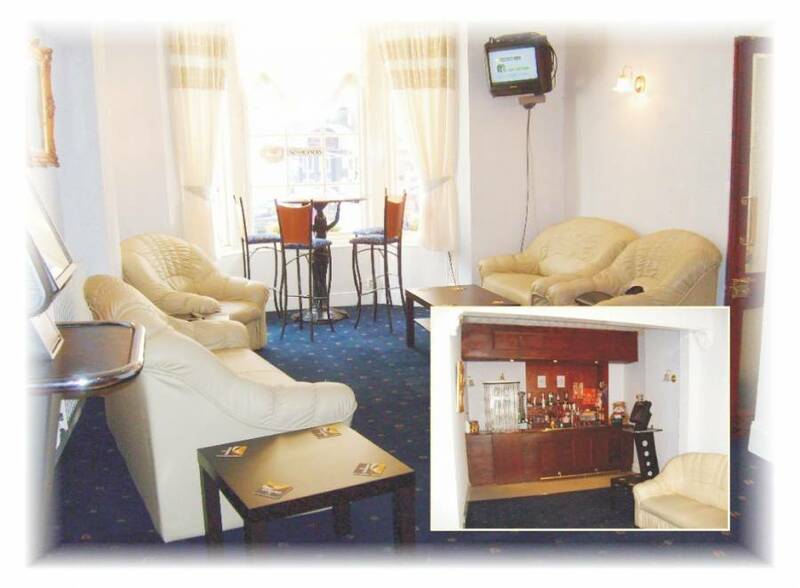 The Blackpool Hotel is situated central Blackpool close to all major attractions and facilities. We are close to Winter Gardens, Blackpool tower and famouse ballroom, Funny girls, theatres and a array of bars, clubs and night life as well as the Pleasure beach and coral island amussments. All rooms are en suite with FREE view TV and tea/coffee making facilities. 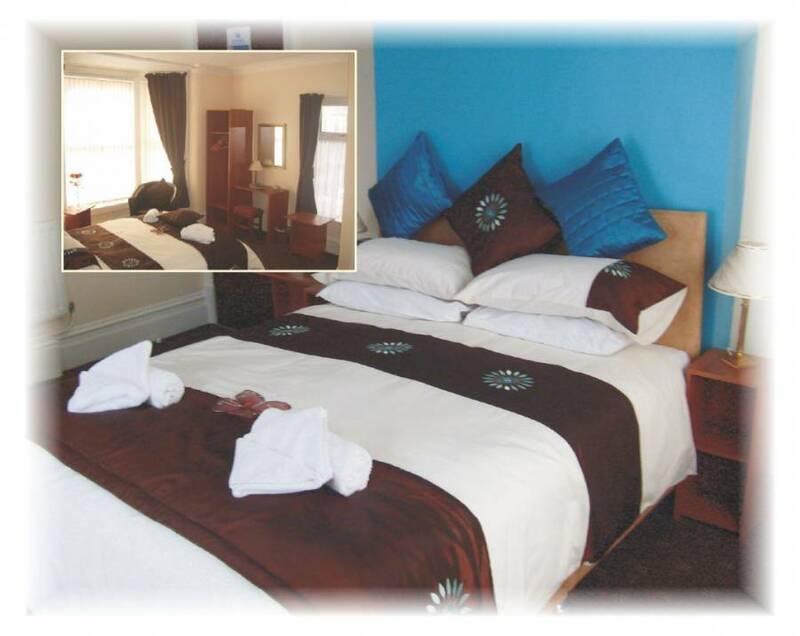 We cater for families, couples, single and groups alike, we have luxury double rooms, single, double, twin, family of 3 and family of 4 rooms available. 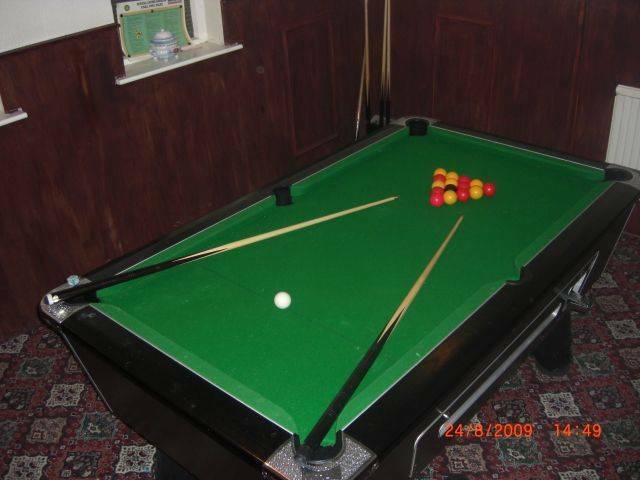 The hotel has a restaurant, l lounge bar, large dance bar with karaoke and games/pool room. 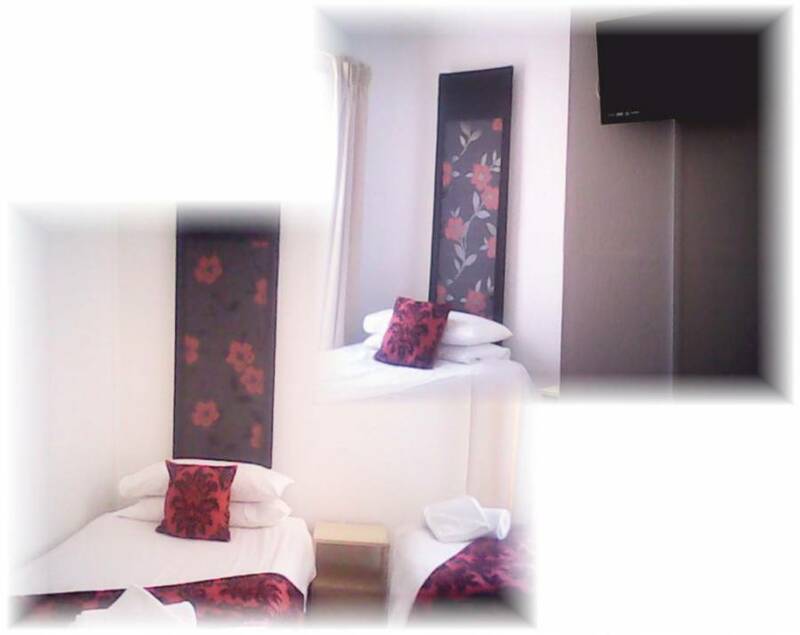 All rooms have en suit, LCD Free view TV with DVD player, tea/coffee making facilities. We offer the following rooms; Luxury/premium mini suits. Standard, Single, Double, Twin, Triple, Family of 3, Family of 4. All rooms have en suit bathrooms. We are situated central Blackpool on Albert road, oposite Hounds Hill shopping centre and next to Winter Gardens, Blackpool tower, theatre and all major attractions. Room Number ……… Arrive date ……………… Depart date ……………. Cost per night ……….. Guests ………. 1. All accommodation is offered subject to availability at the time of receipt of deposit, and at the tariff applicable according to season. 2. Meal times are pre-arranged and no allowance can be made for meals not taken. 3. Rooms must be vacated by 10.30am on day of departure. We will be happy to store your luggage securely until your time of departure. 4. The proprietors cannot accept responsibility for loss of guests’ property unless handed in for safe keeping. 5. Accounts must be paid before departure either by cash or by credit or debit cards and cheques will only be accepted if you produce a valid cheque guarantee card or we receive your cheque 7 days prior to your arrival to allow time for it to clear through our bank. 6. In the event of cancellation or curtailment, should the accommodation not be re-let, the person whose signature appears on this Booking Form will be liable to pay for the total cost as per the reservation, less an allowance for food and service. If deposits have been paid by credit or debit cards then any cancellation fee will be deducted by the same method. When booking a holiday you are entering into a legally binding contract. We recommend you consider taking out holiday insurance. 7. The proprietors reserve the right to amend, curtail or terminate any contract should the conduct of any person who is party to that contract cause any detriment to the well-being or comfort of other guests. 8. Telephone reservations can only be accepted from guests producing valid credit or debit card details. 9. Deposits of 50% per person are required to confirm a reservation and the above cancelation period applies. 10. Groups of young male or female on stag or hen nights or weekend away are required to leave a £50.00 bond per person which will be refunded on departure, any breakages or inconveniences caused by the group will be deducted from the total amount left by the entire group. A credit card information is also to be left for security but will not be charged unless any breakages a cure. Please understand this is for the security and safety of our hotel and I’m sure you would not like strangers coming to your home and destroying things. 11. This agreement will be produced on arrival and MUST be signed by all parties in the group. 12. Any breakages, damage or items stolen from the Hotel will be charged to the whole group. 	I agree to all the Term and Conditions laid out by the Hotel Management. 	Fill out per room but need all names of guests in room, but only one address and contact number. Cheques made payable to Smallwood Brothers Ltd. Please call the hotel with credit card details as these are required to secure your booking NO booking will be held without card details, please ask for Rod. We no how important your holidays are to you and from the moment you arrive until the moment you leave we aim to make your holiday special by attending to all your requirements. 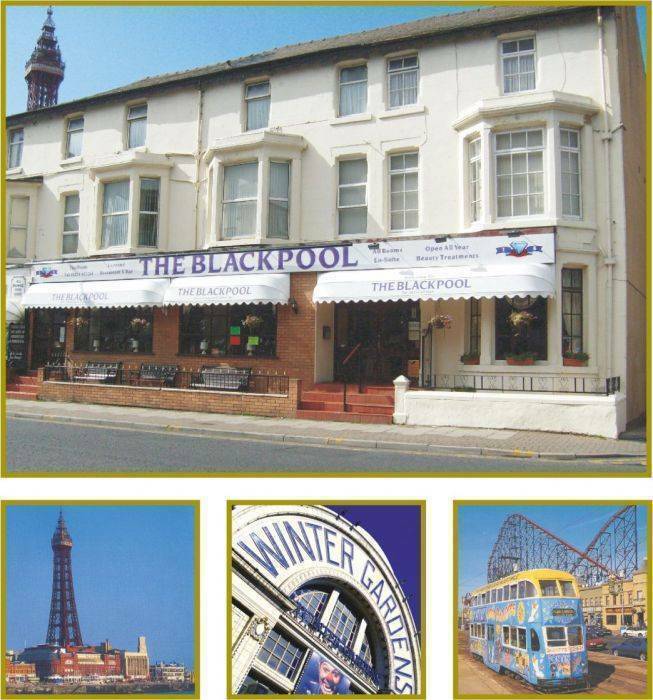 Come and stay at “The Blackpool Hotel” and give us the chance to make you truly welcome. A £5.00 deposit is to be left for a key and TV remote refundable on checking out. We are situated central Blackpool, on entering Blackpool on the M55 head for town centre once you are on the one way system you will come round central drive. On your left will be Argos then at the lights you will have Debenhams on the corner, on the oposit side of the lights on the right you have The Blackpool Hotel. 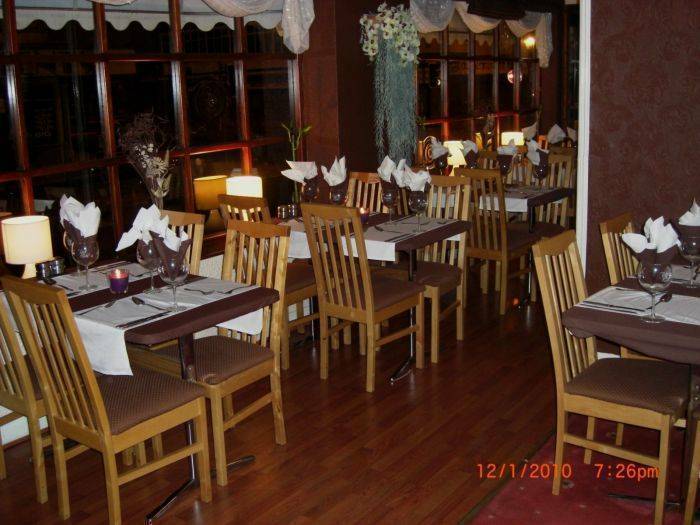 Nearest airport: Blackpool airport 10 minutes by taxi.